Today we are highlighting the birthplace of former president George H. W. Bush and Money magazines 2011’s 2nd best place to live in the United States, Milton, MA in Norfolk County. The Milton, MA market appears to be down somewhat since last year. Both the average listing and average sales prices were down, though there are some interesting points to be discussed below. The days on market were stable year over year at first glance, but as we have seen in the past it is worth digging in a little deeper on that. Inventory was down a little going from 27 sales in May of 2014 to 23 in May 2015. To start off first we are going to look at the average listing price. 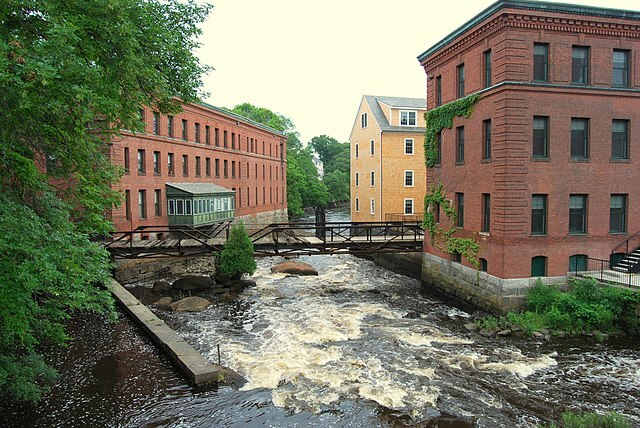 For Milton, MA the average listing price in May 2014 was $713,227. This was down to $586,800 in May 2015. That gives a very large 17.73% decrease year over year. This is one of those situations that we have only recently started to see where the averages tell a far different story than what you see with the more commonly used Median prices. For Milton, MA in May 2014 the median listing price was $499,900 and in 2015 it was $495,000 giving a fairly meaningless 0.98% decrease. This is probably the most dramatic difference we have seen in using the two methods. Next up we will be looking at is the average sale prices. The average sale price for Milton, MA in May of 2014 was $687,528 and in April 2015 that was down to $579,402. That gives a slightly smaller decrease of 15.73%. However, not surprisingly, using the Median sales prices give a different result. What is interesting is the story is quite a bit different than what is seen above for the listing prices. For Milton, MA in May 2014 the median sale price was $560,000 and in 2015 it was $510,000. Using these numbers you see a fairly big 8.93% decrease. While this is much smaller than what we see with the average prices it still strongly supports a conclusion that the Milton, MA market is down a good amount since last year. The final metric we look at are the average days on market, which is the measure of how long it takes for a house to sell in the current market. For Milton, MA the average days on market in April of 2014 were 68.04 and the average days on market for April 2015 were 68.39, for a meaningless 0.51% increase. However, as we have seen many times before in our previous posts for Abington, Bedford, Seekonk, Belmont, Topsfield, Canton, Dracut (Condos), Hamilton, Wakefield, Amesbury (Condos), Dracut #2, Taunton, Reading, Stoughton, Wrentham, Stoneham, Dedham, Nashua, NH, Tewksbury, Brockton (Multifamily), Lowell (Multifamily), Acton, Foxboro, Pembroke, Chelmsford, Beverly, Framingham (Condos), Plymouth County (Condos), Marlborough, Billerica, Waltham, Dracut (Condos) #2, Derry, NH, Framingham, Burlington, Duxbury, Acton #2 , Taunton (Condos) and Tyngsborough outliers in the data can really skew these numbers. This again this is the case for Milton, MA for May. In this case there was a very high days on market house in the 2015 data. In 2015 there was a house with 571 days on market; this was higher than the next 3 combined and more that 36% of the total days on market for all 23 houses. When removed the new calculation for the remaining 22 houses gives an average days on market of 45.55. Using this adjusted number we see that the flat days on market now becomes a significant, 33.05% decrease. This changes the general thought that things are selling about as fast as last year. In fact things have sped up and are selling a fair bit faster than in 2014. The Milton, Massachusetts real estate market looks like it is a little inconsistent. Depending if you look at average prices or median prices listing prices are either stable or way down, looking at sales prices either way the market is down a good amount but by varying degrees, and days on market would indicate that things are doing better than last year. However since the most important factor are the actual sale prices I feel confident in saying that the Milton, MA market is in fact down a good amount since last year. In summary if you are looking to sell a house in Milton, MA now you should expect to get a little bit less than you would have last year. Though you can expect it to take less time to sell compared to last year. Do you need to sell your Milton, Massachusetts house fast? If you would like to sell your home fast and hassle free schedule a consultation with us today.